The Cub Cadet Challenger 400 4×4 is being recalled due to possible cracks in the fuel tank neck. 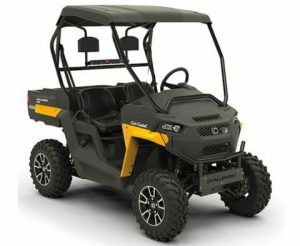 Cub Cadet is recalling their 2018 Challenger 400 4×4 utility vehicle because the fuel tank neck can crack, potentially leak fuel and create a fire hazard. The recall involves approximately 350 vehicles. Consumers should immediately stop using the recalled utility vehicles, store outside and contact an authorized Cub Cadet dealer or customer service representative to arrange for a free repair. This is a very small recall but for a smaller manufacturer like Cub Cadet it represents a larger percentage of their overall vehicle sales. The Challenger 400 4×4 was launched earlier this year. SVR tracks recalls of golf cars, PTVs, LSVs and utility vehicles. The following detailed recall information is from the Consumer Product Safety Commission. Hazard: The fuel tank’s neck can crack and cause fuel to leak, posing a fire hazard. Consumer Contact: Cub Cadet toll-free at 888-848-6038 from 9 a.m. to 7 p.m. ET Monday through Friday, 9 a.m. to 6 p.m. ET Saturday and Sunday, or online www.cubcadet.com and click on “Product Recalls” for more information. Description: This recall involves Cub Cadet model year 2018 Challenger 400 4×4 utility vehicles with model number 37BV3BHK010. The yellow utility vehicles have four-wheel drive with side-by-side seating for two people. “Challenger 400” and “4x4” is printed on both sides of the utility vehicle’s bed. “Cub Cadet” is printed on both sides of the front fender. The recalled vehicles were manufactured between May 2018 and August 2018. The model number and manufacture date in MM/YYYY format can be found on a label located on the seat frame under driver’s seat. Remedy: Consumers should immediately stop using the recalled utility vehicles, store outside and contact an authorized Cub Cadet dealer or customer service representative to arrange for a free repair. Cub Cadet is contacting all known purchasers directly. Sold At: Independent Cub Cadet dealers nationwide from May 2018 through August 2018 for about $7,500. 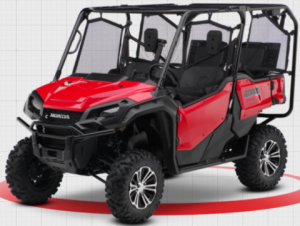 2016 – 2018 Honda Pioneer 1000 three passenger model being recalled. The 2016-2018 five passenger model is being recalled as well. 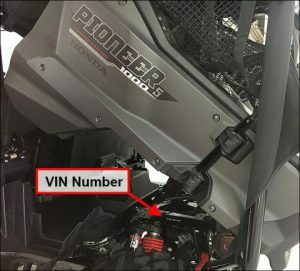 Location of the VIN on the Honda Pioneer models. 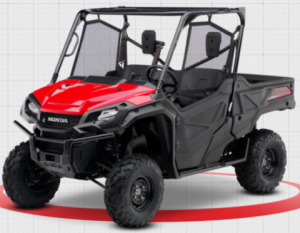 Honda has announced a massive recall of their Pioneer 1000 utility vehicles because an incorrectly installed throttle body poses a fire and burn hazard. The recall involves all model year 2016 and 2017 vehicles, as well as some 2018 vehicles. The three passenger and five passenger models are included in this action. Owners should stop using the recalled vehicles immediately and contact their local Honda Powersports dealer to schedule a free inspection and repair. No injuries have been reported related to this recall. This is a very large recall. Earlier this year Honda issued a recall for most of these same vehicles because of a muffler issue. SVR tracks ongoing vehicle recalls for UTVs, golf cars and LSVs. The following information is from the Consumer Products Safety Commission. Hazard: An incorrectly installed throttle body can ignite, posing fire and burn hazards to consumers. Consumer Contact: American Honda toll-free at 866-784-1870 from 8:30 a.m. to 4:30 p.m. PT Monday through Friday or online at http://powersports.honda.com/and click on “Recall Information” at the bottom of the page for more information. Remedy: Consumers should immediately stop using the recalled ROVs and contact an authorized Honda Powersports dealer to schedule an appointment for a free inspection and repair. Honda is contacting all known purchasers directly. Incidents/Injuries: The firm has received 5 reports of throttle body igniting. No injuries have been reported. Sold At: Authorized Honda Powersports dealers nationwide from August 2015 through August 2018 for between $14,000 and $22,000. Manufacturer(s): Honda of South Carolina Mfg. Inc. (HSC), of Timmonsville, S.C. Distributor(s): American Honda Motor Company Inc., of Torrance, Calif. 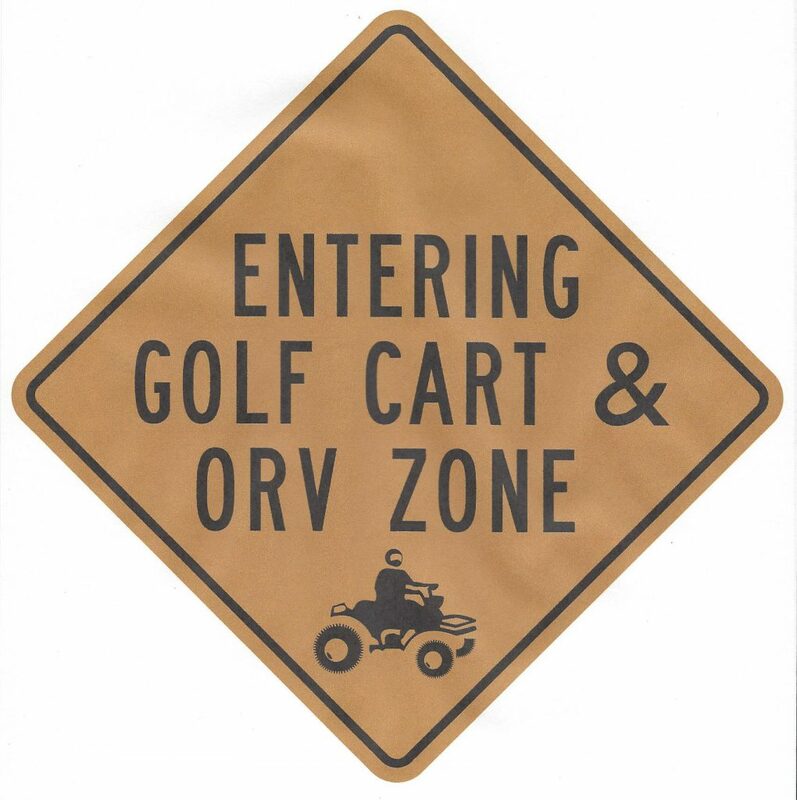 The following is a summary of some of the road use regulations for golf cars, LSVs, ATVs and UTVs that have been passed or are being considered at the state, county and city levels since June, 2018. There is a fairly even split between ordinances that will allow more small vehicles on the roads and ordinances that will restrict use or clarify existing regulations. California is allowing San Diego cities and the county to create a regional LSV plan..
Once again most of the legislative activity occurred in the Midwest and Southeast. Florida municipalities were the most active followed by Minnesota, Wisconsin and Ohio. Largo, FL – Largo officials denied a request from a mobile home community to allow the use of golf cars on nearby public roads. Officials cited safety concerns and potential cost issues as signs would be needed to notify other drivers that golf cars might be on the roads. St. Johns County, FL – The county Board of Commissioners is replacing the existing golf car ordinance with one that would provide more clarity and uniformity in the county so the Sheriff’s Office can provide better enforcement. Panama City Beach, FL – The Florida Highway Patrol reported a number of low seed vehicle and golf car accidents on Back Beach Road which is a state highway route. According to road use regulations the vehicles are not allowed on the route. Holmes Beach, FL – The town commissioners are considering new golf car regulations that would require the addition of limited safety equipment or a full LSV set of accessories. In addition, they are considering keeping the vehicles off main thoroughfares. Oconto, WI – The Oconto City Council revised an existing golf car ordinance to allow the use of utility vehicles on city streets. In response to citizens, the Council is considering an ordinance allowing ATVs and UTVs on some city streets. Greendale, WI – The Greendale Village Board passed an ordinance to allow the use of low speed vehicles on certain city streets. Austin, MN – The local police department is making an effort to educate citizens that UTVs and ATVs are not allowed on city streets. St. Cloud, MN – Stearns County passed an ordinance to allow golf cars and LSVs on public roads. A similar ordinance had sunsetted in May. Covington, OH – Operators of OGGO and Gest low speed vehicle transportation companies asked the city to amend their current low-speed vehicle ordinance to allow the company’s LSVs to operate on certain streets. The transportation is free for the riders. The services will be operating in Cincinnati and Newport as well and generate revenue from advertising. Toledo, OH – The City Council is considering making permanent an ordinance that allows recreational and commercial use of golf cars in certain areas of the city. Currently a pilot program, the council is also considering expanding the areas of the city where the ordinance would apply. Edmonton, KY – The Edmonton City Council approved an ordinance that would allow golf cars, ATVs, UTVs and mini-trucks on city streets. 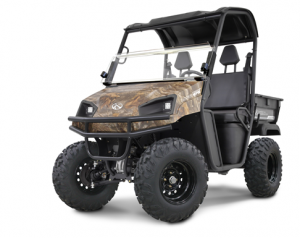 Reedsville, WV – The City Council considering changes to the local vehicle ordinance listened to concerns of citizens regarding the use of UTVs and ATVs on town roads. Some citizens use their vehicles for practical purposes while others are “joy” riding on off-limit streets. The vehicles can be used on certain roads for a legitimate farm use. The changes would require drivers to show proof of farm use and have safety signage attached to the vehicle. Woodstock, GA – The Woodstock City Council tabled a small vehicle ordinance in order to further discuss the definition of golf cars, ATVs, low-speed vehicles and personal transport vehicles, and the safety features required for each. Poplarville, MS – The Board of Alderman is sending a resolution to the state legislature to allow the use of golf cars and other low speed vehicles on city streets. California – Governor Brown signed a bill that gives cities in San Diego County and the county itself the authority to establish a LSV transportation plan. South Carolina – A new law is about to go into effect designed to more easily allow police to enforce violations related to driving golf cars and other low speed vehicles. Violating any golf cart rule will be a misdemeanor punishable with a maximum fine of $100 or 30 days in jail, unless the offense is deemed to be a felony. 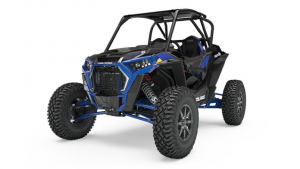 Polaris is recalling RZR XP Turbo S models due to an issue with the ROPS. Polaris is recalling 2018 RZR XP Turbo S UTVs because the rollover protection structure can fracture during a high-speed rollover. The recall involved approximately 1,300 vehicles. Owners reported six instances of the ROPS fracturing. Owner should immediately stop using the vehicles and contact a Polaris dealer for a free repair. SVR’s Take: The recall is relatively small compared to typical recalls, and considering the number of vehicles Polaris sells. However, this is the first time I remember an issue with a ROPS structure for any manufacturer. 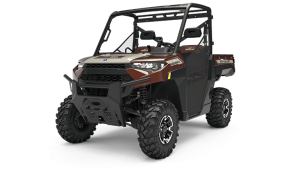 In addition, Polaris mostly likely manufactured these 2018 models under their new design and manufacturing processes implemented to produce better quality vehicles. 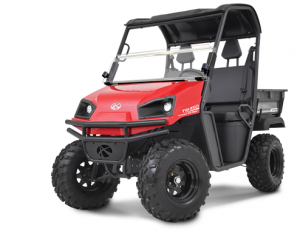 SVR maintains a list of recent recalls of UTVs, golf cars and LSVs. The following recall information is from the Consumer Protection Safety Commission. Hazard: In the event of a high-speed rollover, the vehicle’s rollover protection structure (ROPS) can fracture, providing inadequate protection during a rollover. Consumer Contact: Polaris at 800-765-2747 from 7 a.m. to 7 p.m. CT Monday through Friday or online at www.polaris.com and click on “Off Road Safety Recalls” for more information. In addition, check your vehicle identification number (VIN) on the “Product Safety Recalls” page to see if your vehicle is included in any recalls. Description: This recall involves model year 2018 RZR XP Turbo S recreational off-highway vehicles (ROVs) sold in red and blue. 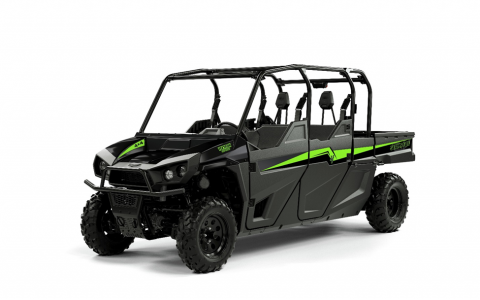 The recalled vehicles have “POLARIS” printed on the front grille, “POLARIS” printed beneath the doors, and “RZR” printed on the rear fenders. The vehicle identification number (VIN) and model number can be found on a label affixed to the vehicle frame in the left front wheel well. Remedy: Consumers should immediately stop using the recalled ROVs and contact a Polaris dealer to schedule a free repair. Polaris is contacting all registered owners directly. Incidents/Injuries: Polaris has received six reports of rollover protection structures fracturing during rollovers. Polaris has received one report of an injury but does not attribute it to ROPS fractures. Sold At: Polaris dealers nationwide from January 2018 through August 2018 for about $27,500. American Landmaster is recalling Crossroad UTVs because of a potential gas leak. Landstar models are part of the recall. Landmaster Trailwagon models are also part of the recall. 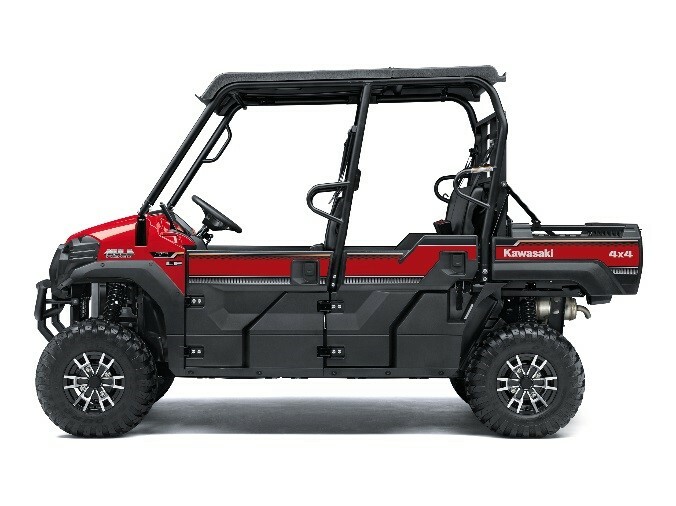 American Landmaster has recalled approximately 1,500 model year 2018 UTVs including Landstar, Crossroad and Trailwagon models due to a potential gas leak from the vehicle’s gas tank which can potentially create a fire and burn hazard. Owners have not reported any injuries related to this recall. Owners should immediately stop using the vehicles and contact their American Landmaster for a free repair. The recall information below is from the Consumer Product Safety Commission. SVR maintains an ongoing list of recalls related to utility vehicles, golf cars and LSVs with links to detailed recall information. Hazard: Gas can leak from the utility vehicle’s gas tank, posing fire and burn hazards. Consumer Contact: American Landmaster at 800-643-7332 from 8 a.m. to 5 p.m. ET Monday through Friday, email at recall@AmericanLandmaster.com or online at www.AmericanLandmaster.com and click on the “Notice to UTV Owners Important Recall Information” icon or www.AmericanLandmaster.com/recall for more information. Description: This recall involves model year 2018 gasoline-powered Landstar, Crossroad and Trailwagon models of American Landmaster four-wheel off-road utility vehicles. The recalled vehicles were sold in a variety of colors. The model name and number are printed on the hood of each front fender. The American Landmaster logo is printed on the center of the hood of the vehicle. The VIN is located behind the pedals and below the steering wheel. Remedy: Consumers should immediately stop using the recalled vehicles and contact American Landmaster for a free repair. Sold At: Atwood Distributing, Tractor Supply Company, Orscheln Farm and Home stores and other distributors nationwide from January 2018 through July 2018 for between $4,300 and $10,300. Manufacturer(s): ASW, LLC d/b/a American Landmaster, of Columbia City, Ind. Polaris is recalling the Gravely Atlas JSV 3000 due to fire hazard. 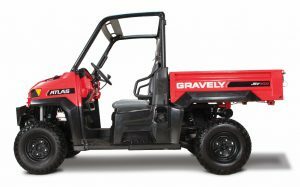 The crew version, the Gravely Atlas JSV 6000 is being recalled as well. 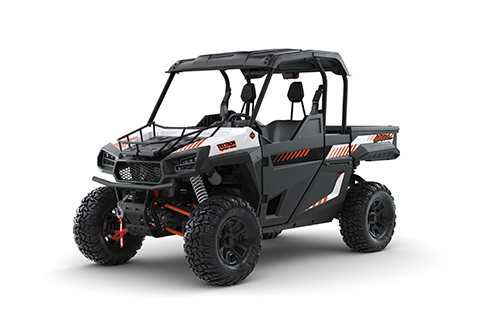 Polaris announced the recall of approximately 2,100 Gravely Atlas JSV 3000 and JSV 6000 utility vehicles for model years 2015 through 2018.The utility vehicle’s exhaust header pipe can crack, posing fire and burn hazards. Owners have not reported any injuries related to this recall. Consumers should contact their local Gravely dealer for a free repair and should stop using the vehicle if the exhaust system becomes noisier. This is similar to the Bobcat recall. Polaris manufactures both the Bobcat and Gravely UTVs, which are likely the same or nearly the same vehicle sold under different brands. Polaris developed partnerships with these companies to access additional distribution networks for utility vehicles. 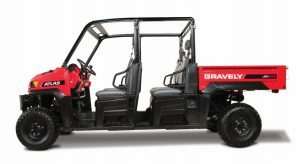 Gravely provides access to outdoor power equipment buyers, such as buyers of commercial and residential lawn mowers, and Bobcat reaches commercial and construction equipment buyers. Hazard: The utility vehicle’s exhaust header pipe can crack, posing fire and burn hazards. Consumer Contact: Gravely at 877-740-7060 from 8 a.m. to 4:30 p.m. ET Monday through Friday or online at www.gravely.com and click on the Product Support link at the bottom of the page, then select Product Safety Recall in the menu on the left of the page for more information. Remedy: Consumers should contact an authorized Gravely dealer for a free repair. If the exhaust system becomes noisier, consumers should immediately stop using the recalled utility vehicles. Gravely is contacting all known purchasers directly. Incidents/Injuries: Gravely has received seven reports of cracked header exhaust pipes. No injuries have been reported. Sold At: Gravely dealers nationwide from September 2014 through July 2018 for between $13,000 and $15,700. Distributor(s): Gravely Company, of Brillion, Wis.